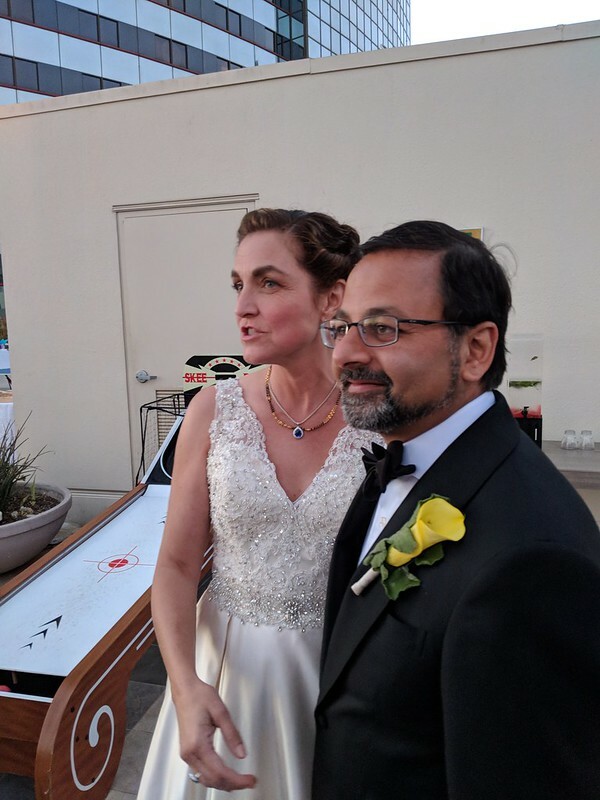 If you’ve been wondering what we’ve been up to the last few days, it’s this: Two of our very dear friends, Deven and Claudia, got married to each other, and we as a family were there to see it happen. We also saw a number of other, equally dear friends at the wedding and generally had a wonderful time in San Diego, which is one of our favorite cities on the planet. Basically, just a perfect set of days. Today we’re back to Ohio, and both I and Athena will be back on a regular writing schedule here. But it was nice to get away from the world for a bit and see two of my favorite people bind their lives together. There was a lot of joy happening, and joy and love is something all of us could use a little more of these days. See you back in Ohio, soon.